If you have having trouble signing in with a multi-factor authentication (MFA) device as an IAM user, contact your administrator for help. As an administrator, you can deactivate the device for another IAM user. This allows the user to sign in without using MFA. You might do this as a temporary solution while the MFA device is replaced, or if the device is temporarily unavailable. However, we recommend that you enable a new device for the user as soon as possible. To learn how to enable a new MFA device, see Enabling MFA Devices. If you use the API or AWS CLI to delete a user from your AWS account, you must deactivate or delete the user's MFA device. You make this change as part of the process of removing the user. For more information about deleting users, see Managing IAM Users. To deactivate the MFA device for a user, choose the name of the user whose MFA you want to remove. Choose the Security credentials tab. Next to Assigned MFA device, choose Manage. In the Manage MFA device wizard, choose Deactivate MFA device, and then choose Continue. The device is removed from AWS. 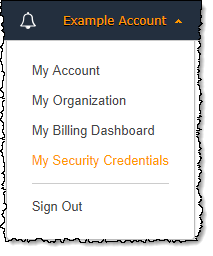 It cannot be used to sign in or authenticate requests until it is reactivated and associated with an AWS user or AWS account root user. In the row for the MFA device that you want to deactivate, choose Deactivate. The MFA device is deactivated for the AWS account.